Just 1,000 copies of this deluxe edition of the Studio Canal classic will be released, totalling £104.99. 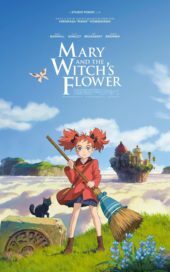 If you love Ghibli, desire more of it, or are simply willing to look past this movie's Ghibli-related beginnings, then you’ll find a charming, magical and fun family movie with beautiful animation from a studio that clearly wants to make more delightful movies in the future. Today, we mourn the loss and celebrate the life of Studio Ghibli co-founder Isao Takahata ("Grave of the Fireflies", "The Tale of the Princess Kaguya"), who passed away on 5 April 2018, aged 82. 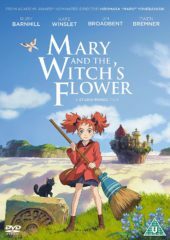 From Studio Ghibli alumni Hiromasa Yonebayashi (When Marnie Was There), Mary and the Witch's Flower will be receiving limited preview screenings, UK distributor Altitude confirms. 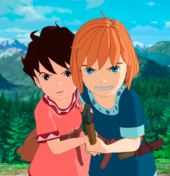 Ronja the Robber’s Daughter is not the brightest spark in Studio Ghibli's repertoire. 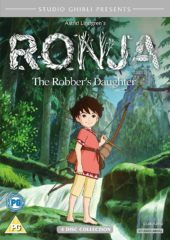 Despite some good ideas and lovely animation, this is primarily aimed at very young kids and therefore anyone outside that demographic would most likely find this 26-episode venture hard to get through. 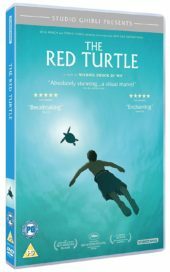 The Red Turtle is a Studio Ghibli film, though it was created and directed by award-winning Dutch animator Michael Dudok de Wit instead of the Ghibli team itself. 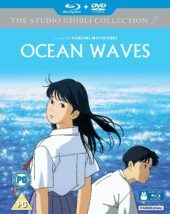 It contains stunning visuals and masterful direction, and is entirely presented without any spoken dialogue. Overly artsy, or genuine masterpiece? Read on! A new trailer for Studio Ghibli’s Oscar-nominated film The Tale of the Princess Kaguya has been released in the UK by Studio Canal. Film4 has announced on Twitter that it premier Hayao Miyazaki’s The Wind Rises on Saturday 7th February at 15.25.